Create stunning ceramics with easy-to-use air-dry clay! Air-dry clay has a fine and sophisticated look, doesn’t need to be fired and won’t shatter, plus it’s so simple to use that anyone can create beautiful projects in their own home! Anyone can make their pieces, leave them to dry and then they’re ready to embellish. In this kit, author, jewellery-maker and crafter Sophie Splatt shows you how to create exquisite air-dry clay ceramics, including an elegant golden bowl, a glowing tea-light house, intricate marble coasters, festive lace-look bunting and much more! 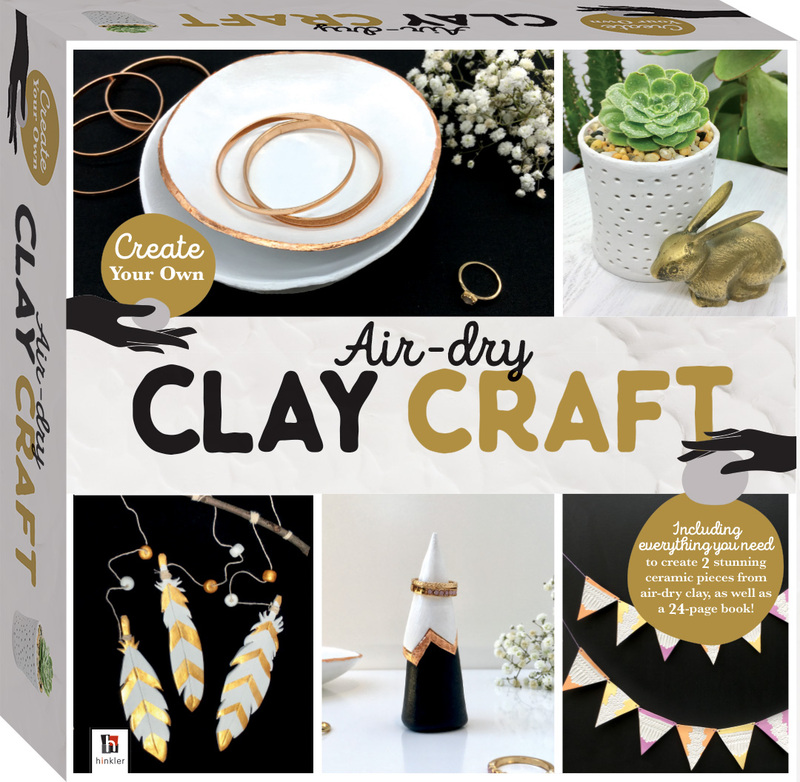 Make thoughtful, original gifts or surround yourself with unique pieces with Create Your Own Air-dry Clay Craft.